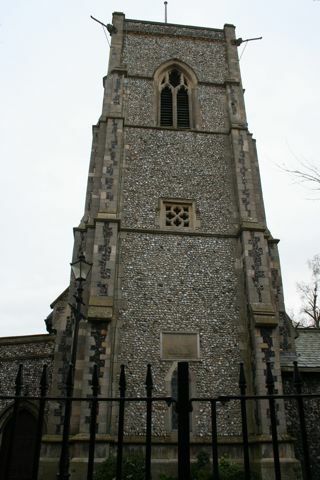 This church is at the top of Thetford high street. What little remains of the churchyard is now just flat grass. No existing gravestones are in situ, they have all been moved. Some have been used as flagstones or wall copings in the churchyard, others have been set into the wall of the adjacent alleyway. All stones are very worn. The church is usually locked. The GPR holds 65 grave and 83 person records for the burial ground.